Strong winds for this 2013 edition (check video below). 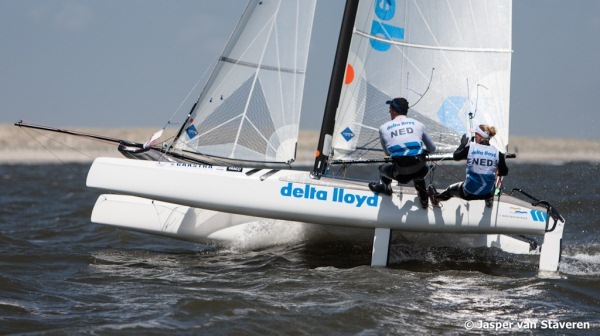 To the usual Nacra F20c & F18 top recent contenders (M20 & Tornado in the past) the new Olympic cat, the Nacra 17 put lot of pressure to take the overall handicap Texel crown. Measuring a '100' Texel Rating, as we said earlier just like the F18, the 'newbie' (although the Booth bros sailed it in 2012) had an excellent 2nd Texel with Dutch Olympic hopes , Groenenveld-Visser fighting for the title with the F18 2012 Dark Horses (2nd at LA Worlds), Oskar Zeekant & Charlie Begemann (also racing Olympic circuit). At the end and on elapsed time Zeekant-Begemann C2 F18 took the crown by only 20 seconds. 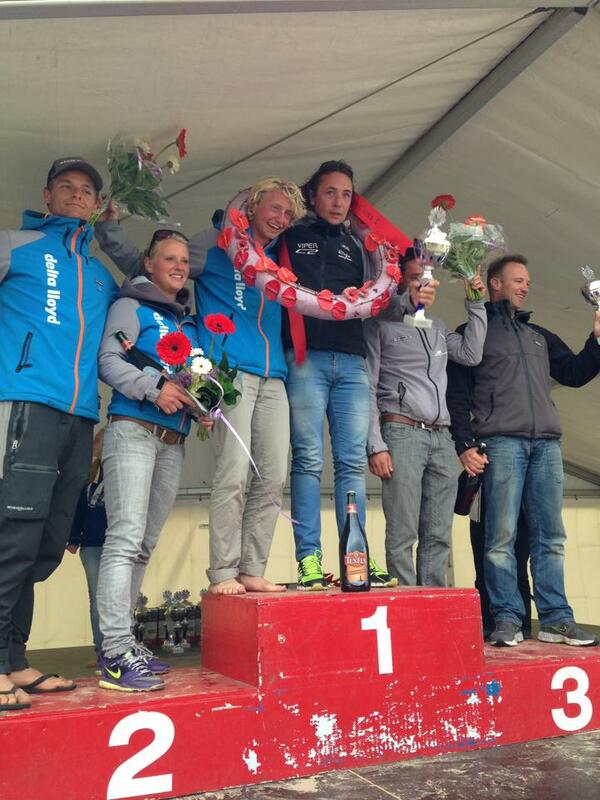 3rd place and 25 seconds behind Groenenveld-Visser, was for Heemskerk-Tentij on a Cirrus F18. 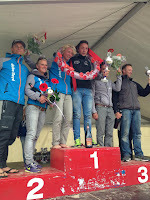 Second year in a row for AHPC , 2012 Carolijn Borouwer & Wouter Samama also on a C2. 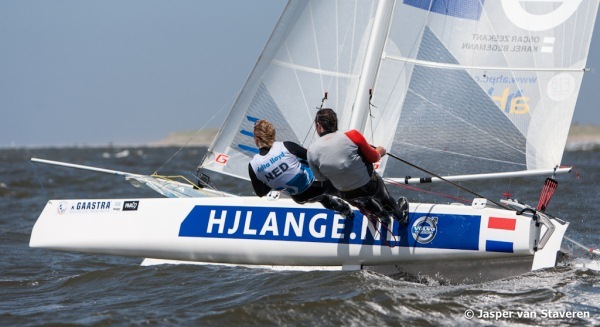 All images above by Jasper van Staveren www.sailshoot.com , Full Texel Gallery at CSN FB. 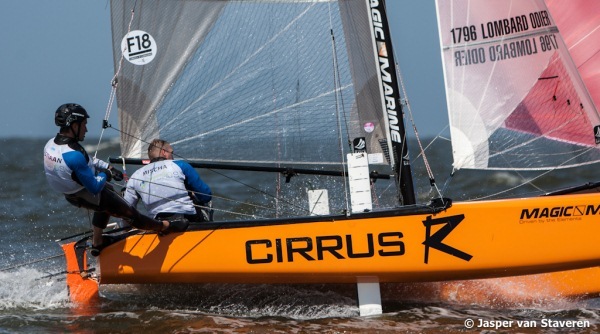 Great times for Catamaran racing with the F18 Class standing ground and the new Olympic cat stablishing position. Right now the F20c crews remain untouched for the line honours. Also excellent campaign for Zeekant & Begemann looking forward to improve their 2012 F18 Vice World for Grosseto. More info at www.roundtexel.com - Check excellent short video below. 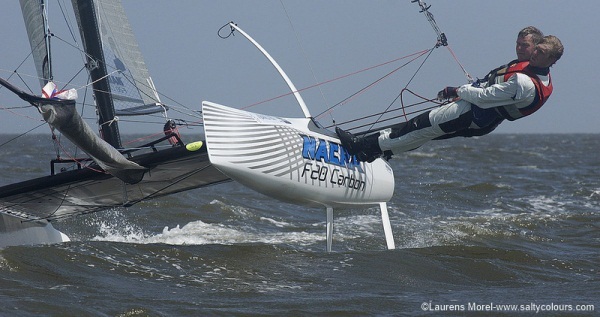 Line hounours for Peter Vink & Jeroen Van Leeuwen on a Nacra F20c (photo below by Laurens Morel www.saltycolours.com).